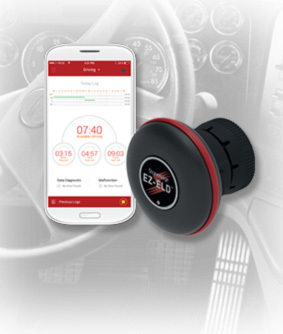 Stoneridge’s electronic logging device, EZ-ELD, is a truck driver’s and fleet manager’s simplest solution to tracking, managing, and sharing records of duty status (RODS) data from any commercial vehicle with a 6-pin, 9-pin or OBD-II port. With more than 60 years of experience serving commercial vehicle fleets and a leader in the European tachograph market, Stoneridge’s EZ-ELD is designed with the truck driver in mind, making it easy to install, easy to use, and an affordable way to comply with the 2018 ELD mandate. With ELD legislation affecting over 3 million drivers, the Stoneridge EZ-ELD is a simple, quick and reliable solution to fleet safety and driver compliance. To learn more about Stoneridge EZ-ELD, visit EZ-ELD.com.